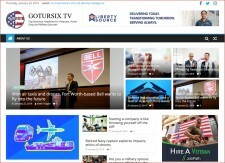 WASHINGTON, January 24, 2019	(Newswire.com) - GotUrSix TV launches the first news headline website for the 26 million Military, Veterans, Military Spouses, and Reservists worldwide. The new digital platform aggregates all of the day's top business headlines including topics such as healthcare, technology, career, U.S. Corporation Military Program, Mergers, Acquisitions & Investment, influential military contracts, and more. The launch of the new digital service is well-timed to address the gap in the market. While there are hundreds of websites and blogs featuring business and military-related content, until now, no one website aggregated all the days business headline. "We are excited to provide an easier way for 26M Americans to find relevant business topics that impact their lives," said the GotUrSix TV Founder and son of two Air Force Veterans, Keith Trippie. "The business model has already been proven with sites such as Drudge Report, Cheddar and Mike Rowe's organization to name a few, and we wanted to create a fun, informative site for our audience to read with their cup of coffee every morning," the retired Department of Homeland Security Executive continued. 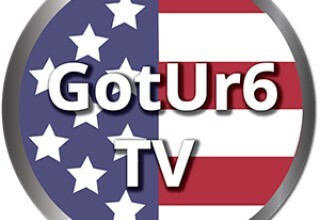 GotUrSix TV's target audience is the 26M Americans who have served and sacrificed for the United States. Of the 26M, 200,000 transitions from service each year, 2.5M are Veteran Owned businesses, nearly one million are Military Spouses, and millions more are Veterans in the workforce. 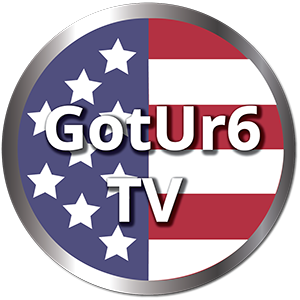 To build this service, GotUrSix TV has partnered with Liberty Source, a leading business process outsourcing firm led by a Navy Spouse. Liberty Source has nearly 50% of its workforce as Military Spouses and Veterans. "We feed this new mission by providing long-term, sustainable careers for Military Spouses, Veterans, and active duty reservists, while GotUrSix TV feeds this mission through aggregating relevant and entertaining business news stories directly applicable to this community," said Cindy Gallagher, the CEO of Liberty Source and Navy Spouse. GotUrSix TV's website went live in January 2019 and is actively collecting feedback from the Community. "There are so many amazing boots-to-business stories out there, we wanted to let the community know we have their six," Trippie said.